I liked this book a lot, though I'm not a fan of fantasy except for Tolkien, mostly because the world feels unreal to me. Like this series, set in some time that never existed, when there are castles, armor, and siege engines on the one hand, but other technologies (it's obvious they have printing presses) that don't seem to fit in the same framework. The literacy rate seems far too high. The way men and women interact annoys me, for instance, because it's almost modern but not quite. 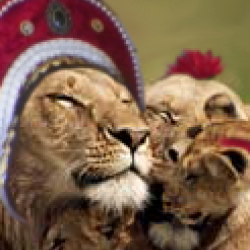 The fact that all the characters we really care about are noble-born is also a false note. I realize that fantasy generally does things like this, but that's why I don't much like fantasy. So, having said that, this was a really good story of the genre. 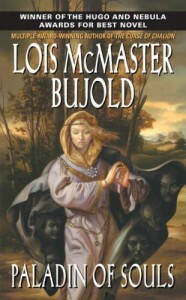 I love Bujold because she can write a very captivating tale, with people you like and care about. The gods and magic are explained and made so real that the inevitable deus-ex-machina ending of all three of these books does not actually feel like one. You don't feel a bit cheated at the end, and things generally resolve in a satisfying way. A fast, fun, read. Not much meat here but great for light fun. Read Paladin of Souls AFTER The Curse of Chalion, by the way. I made the mistake of going in the reverse order.